Direct-to-fan platform PledgeMusic has issued a statement today (January 24) accepting responsibility for late payments to “many artists” in the past year – as anger bubbles over amongst independent acts and labels. The manager of one well-known American indie rock band told MBW today that the PledgeMusic late-payment fiasco is now, in his view, “becoming the Fyre Fest of crowdfunding – seriously”. That, obviously enough, is a damning reference to 2017’s ill-fated ‘luxury’ Fyre Festival event in The Bahamas, whose reputation has now been sealed in a much talked-about Netflix documentary. PledgeMusic’s admission follows severe criticism from many of its users over the past year. The company has now written of its “deep regret” and acceptance of responsibility for the fact that it has been “late on payments”. Additionally, the firm claims to be “in discussions with several strategic players in the industry who have interest in the PledgeMusic platform”. Pledge says that details of these potential transactions will be revealed in the next 60 days, and that it “expects” all outstanding payments will be made in the next 90 days. In October last year PledgeMusic’s Co-Founder Malcolm Dunbar was promoted to Global President and COO in the wake of former CEO Dominic Pandiscia’s exit from the company. 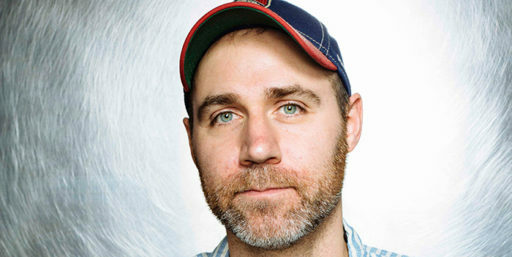 Following PledgeMusic’s public acknowledgement of late payments to its artists today, one of the company’s Co-Founders Benji Rogers also issued an apology, addressed to “artists, their teams, managers, labels and fans, and to all who have been negatively affected by the issues at PledgeMusic”. Said Rogers: “I am truly sorry to any and all of you who have been harmed as a result of what I made. Added Rogers: “Even though I handed over day-to-day control of Pledge as its CEO for the second time in April of 2016 and left the board last February, the fact that this trust is now broken is unacceptable to me personally and I am truly sorry to all of you who have been affected by this.